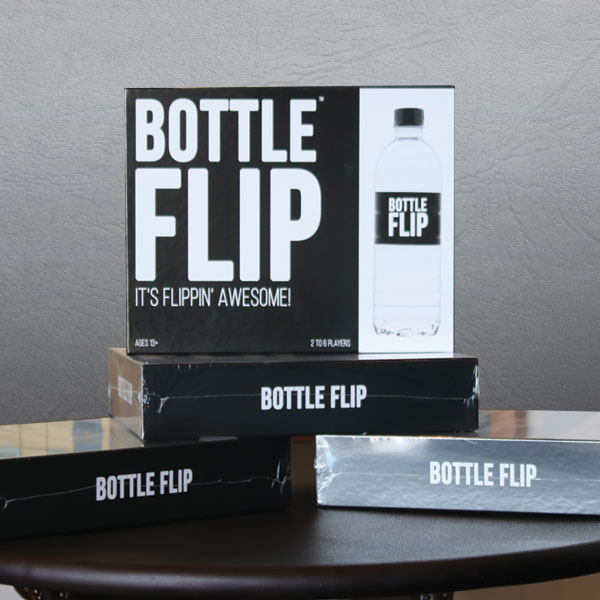 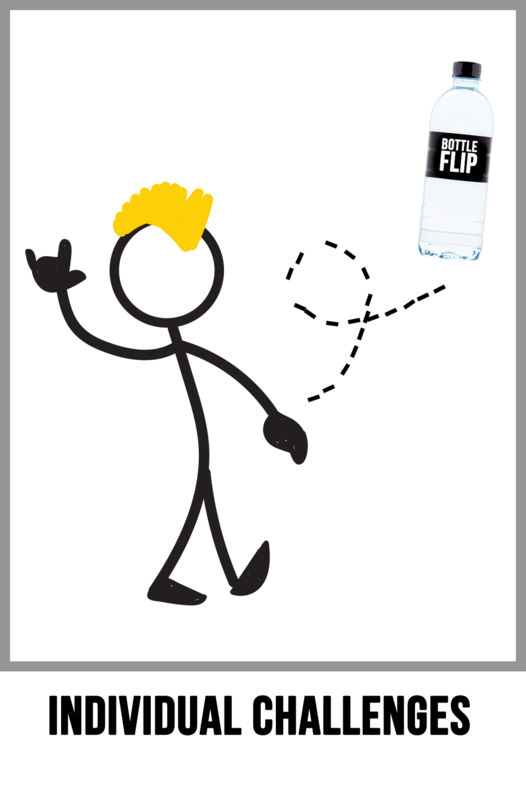 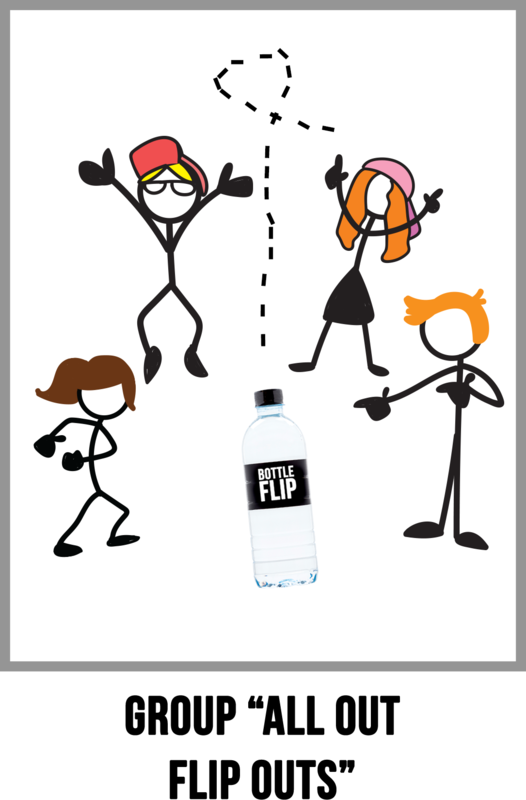 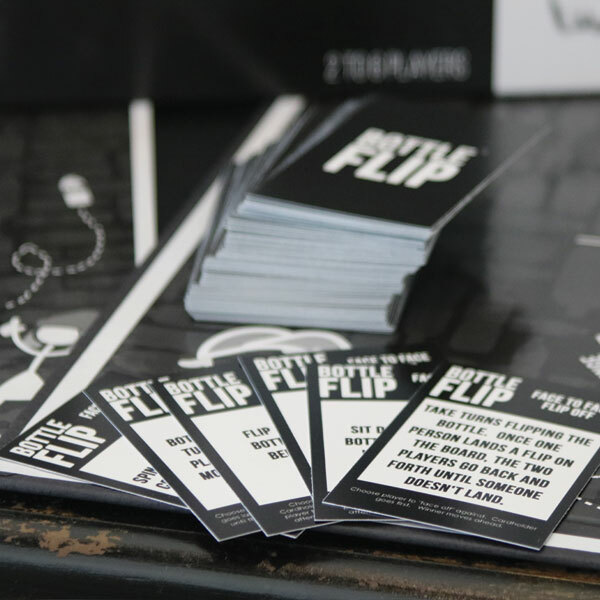 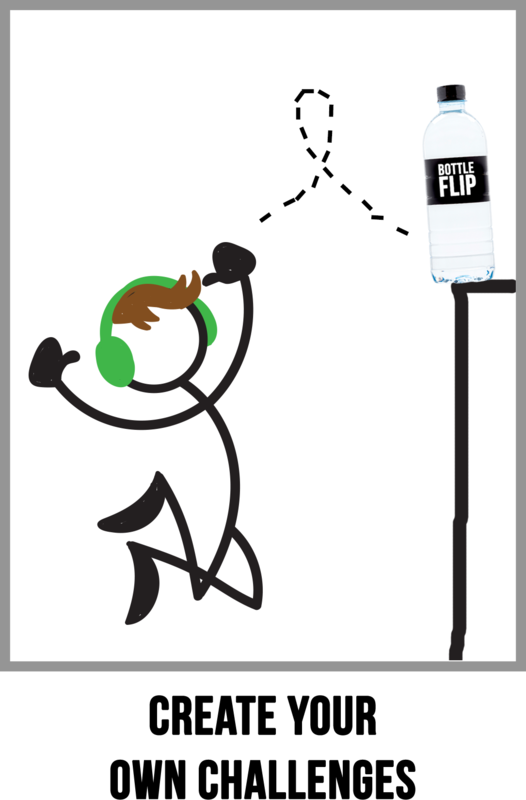 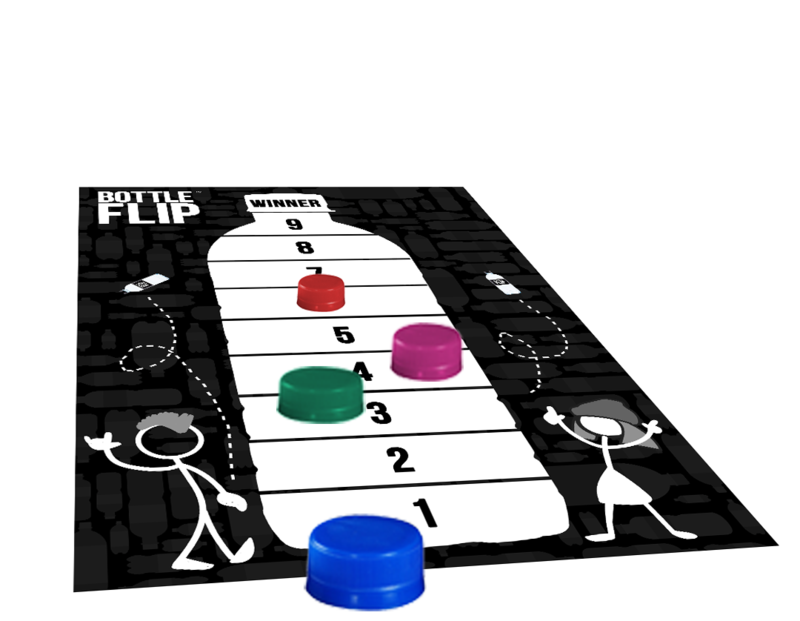 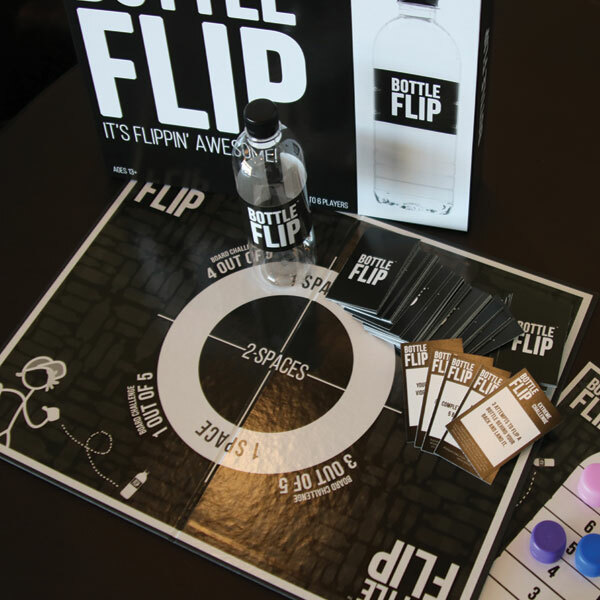 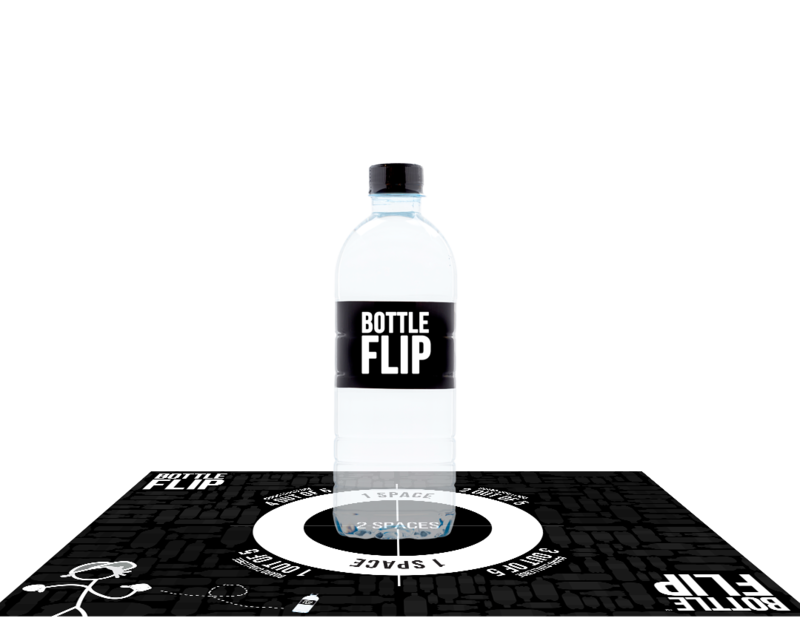 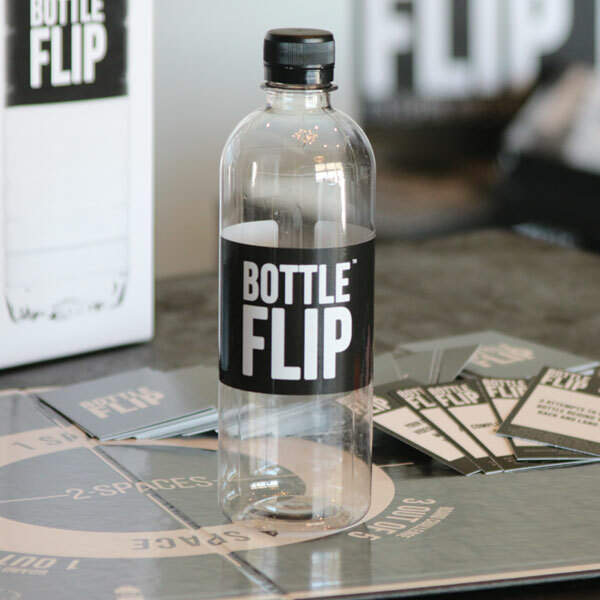 Bottle Flip The Board Game – It's Flippin' Awesome!  Think you have the skills to be the bottle flip champion amongst your friends? 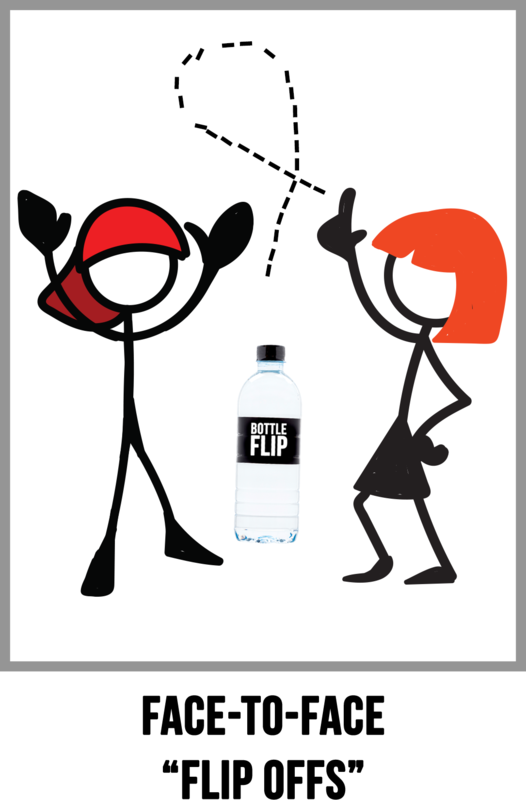 Now’s the time to find out! 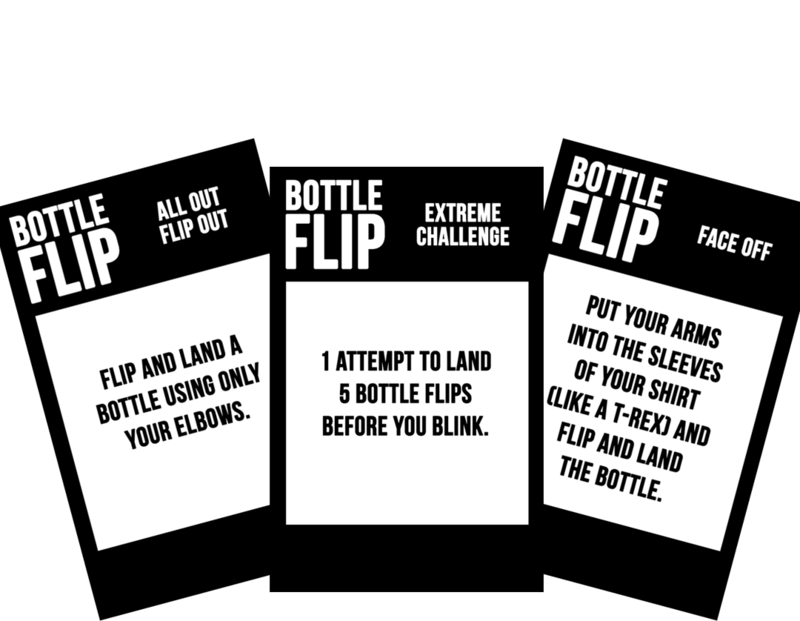 Earn points and move along the board by completing individual challenges, face-to-face “Flip Offs”, group “All Out Flip Outs” or create your own challenges! 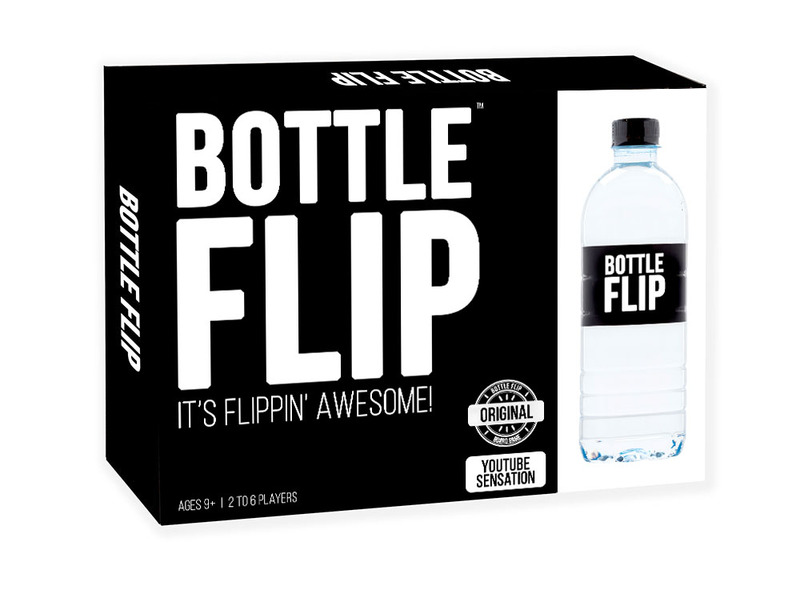 It’s flippin’ awesome!